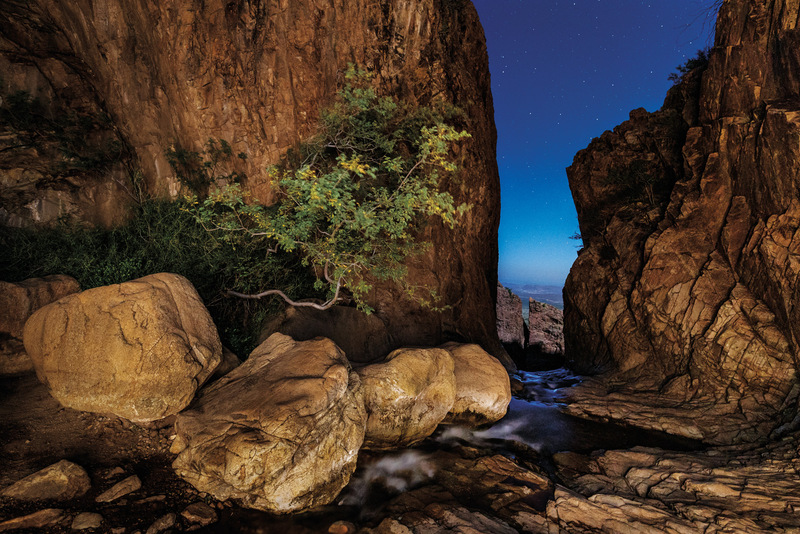 Big Bend National Park boasts several distinctive and must-visit geological features, and the Window in the Chisos Basin is among the most iconic. The natural break in the rim serves as a picturesque frame for the distant desert landscape below. The Window can be seen from various parts of the basin, including the Chisos Mountain Lodge’s restaurant patio. However, a moderately difficult descent of less than 1,000 feet over a couple of miles of Oak Creek Canyon along the Window Trail provides the most spectacular view.